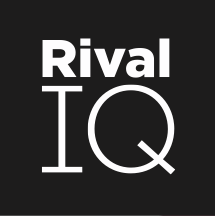 We use data limits during the Rival IQ trial to give you enough information to make a decision on whether you'd like to subscribe to Rival IQ. Our team reviews each and every new company that gets added to Rival IQ, working to ensure the accuracy of the data we capture and display. We enforce a company limit (5 per landscape, and the focus company) and a landscape limit of 2 total until you upgrade to a paid Rival IQ plan. During your trial, you are limited to 12 company additions. If you have any questions about this, please contact us. Reports are also limited during the trial to 10 total reports. We also limit the amount of historical data to 30 days during your trial - please let us know if you're interested in learning about how to get more data.